When a company is ready to get serious about new business, they have many alternatives. Some companies may decide to try to generate leads on their own while others will use lead generation companies. What types of customers do you need? Having droves of people respond online, on email, or via phone may not be the best choice. While you may have many inquiries, you may not actually get business from them. Carefully consider who your target customer is. A quality lead generation company will help you to develop a profile of your ideal customer based around potential sales, location, interests, and other demographics. How will potential customers look for you? 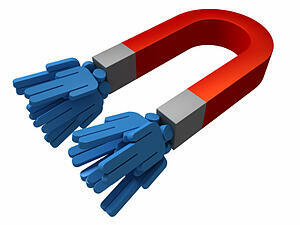 With the right lead generation provider, you can develop several strategies to attract your target customer. Some of the leads may come as a result of email marketing campaigns. Others may result from search engine optimization (SEO) where specific key words link you and the lead. And other leads can come from social media and other areas. What steps do you take to process the leads? When leads come in, you should already have a process in place to qualify the lead and then begin the sales process. Qualifying the lead is an important step that your lead generation provider can assist in developing so that you know the potential customer is legitimate and can avoid wasting the valuable time of salespeople with bogus leads. How do you measure success? Obviously the number of leads that you receive is one measurement. But there can be other measurements to make sure you are executing the correct online marketing strategy. This can include "hits" on your website, email inquiries, social media "likes," and others. Before pouring through a long list of lead generation companies, be sure that you know exactly what to look for. For more information, please call us directly or click the button below and we will contact you. Thank you.